Pretty much everyone has seen the fantastic Oatmeal comic about the Mantis Shrimp by now. Because the mantis shrimp has such amazingly complex eyes, we assumed that they would see the world around them in an unimaginable array of colors. A publication in the journal Science indicates that this is not the case. 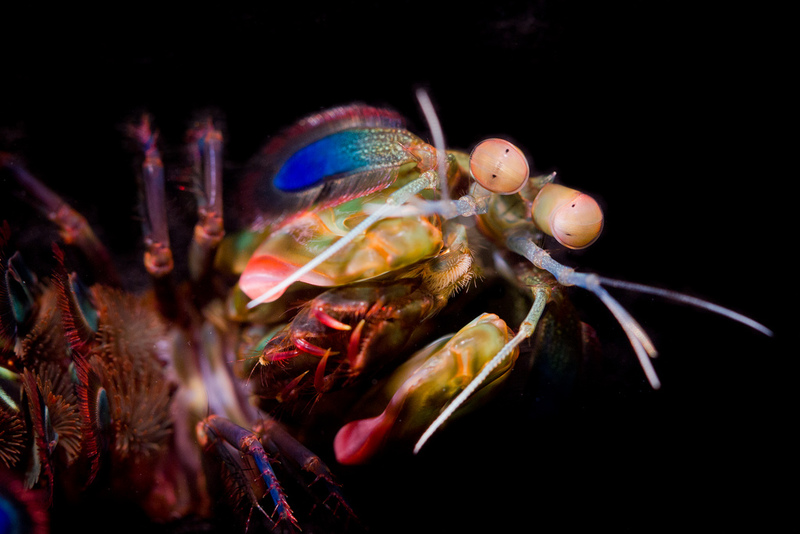 ✤ Mantis shrimp eyes have between 16 and 21 different photoreceptor types – in contrast, we have only 3 (green, blue and red). Why does the mantis shrimp need so many photoreceptor types, and what do they do? ✤ To answer this question, scientists designed an experiment to test the mantis shrimp’s color discriminating abilities. They used a two-way choice test to train the animals to specific wavelengths with food rewards. They presented the choice to the animal using a pair of optical fibers and then they recorded which end was tapped or grabbed by the animal. ✤ So far so good. What the test showed was that when the difference between the test and the trained wavelength was reduced to between 25 and 12 nm, the mantis shrimps could no longer distinguish between the two. The bottom line? Despite having so many photoreceptor types, mantis shrimps have rather poor color vision. ✤ So what’s going on? It turns out that mantis shrimp ‘see’ in a truly remarkable way. They recognize colors instead of discriminating them. The different wavelength sensitivities would be converted to a pattern when scanned across an object, which the animal then recognizes as a color. ✤ What’s the benefit of such a system? It allows the mantis shrimp to make a quick and reliable determination of color. Given that mantis shrimp live on shallow coral reefs, some of the most colorful habitats on the planet, this makes sense. They live a fast paced lifestyle, involving combat and territoriality so having a simple, quick and efficient method to recognize colors would be critical for survival. Here’s an excellent writeup from Ed Yong about it. 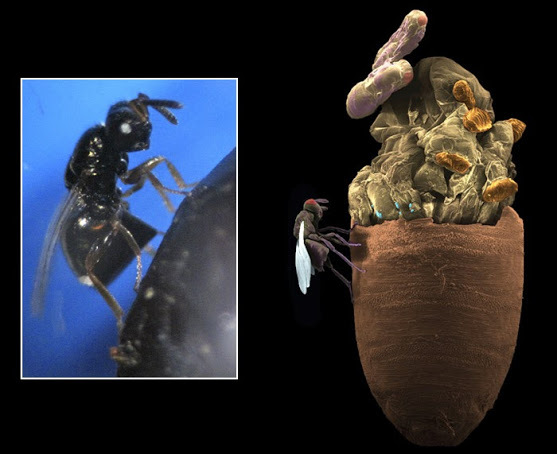 Original paper published in Science (unfortunately behind a paywall). Next story Why Don’t Naked Mole Rats get Cancer?